Apple announced yesterday that the iPhone SE will be available to order on March 24, with shipments and in-store sales beginning on March 31, in the United States, Australia, Canada, China, France, Germany, Hong Kong, Japan, New Zealand, Puerto Rico, Singapore, and the United Kingdom. Apple's website indicates that the second round of orders will begin on March 29, with those shipments beginning in early April, in Austria, Belgium, Czech Republic, Denmark, Finland, Hungary, Ireland, Italy, Luxembourg, Poland, Portugal, the Netherlands, Norway, Russia, Spain, Sweden, Switzerland, Taiwan, Turkey, and the United Arab Emirates. Apple also confirmed that orders will begin in early April, and presumably ship later in the month, in Albania, Andorra, Bosnia, Bulgaria, Croatia, Estonia, Guernsey, Iceland, Isle of Man, Jersey, Kosovo, Latvia, Liechtenstein, Lithuania, Macedonia, Maldives, Malta, Monaco, Poland, Romania, Slovakia, Slovenia, and South Korea. Meanwhile, the iPhone SE is listed as "coming soon" in Bahrain, Brazil, Chile, Colombia, Egypt, India, Jordan, Kuwait, Malaysia, Mexico, Oman, Qatar, Saudi Arabia, South Korea, Thailand, and on Apple's broader Latin America website. Apple says "check back later for availability" on its Philippines website. ET Telecom reports that Beetel Teletech will begin selling the iPhone SE from Rs 39,000 on April 8 at over 3,500 retail locations across India. Spanish website iPhoneros claims the iPhone SE will go on sale a few days earlier in Spain, on April 6. If you know of a launch date for another country, email us at tips@macrumors.com. Apple confirmed the iPhone SE will be available in 110 countries overall by the end of May. I have a question which I'm hoping someone can answer. I am from the UK but currently live in Thailand. 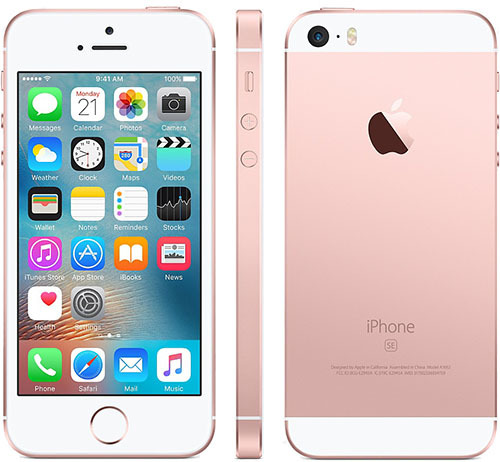 I will be visiting Singapore early next month and I would like to purchase the iPhone SE. Can I pay for it online through Apple's website to collect there? Or will the fact I have a British credit card not allow me to do it? Does Apple accept PayPal? Does Singapore have Apple stores where you can buy products or just an online store? Thanks. A white & gold 64gb will do nicely thank you :) Don't use 3D Touch on my 6S+ as it stands. Just wish it was closer to $499 than the actual €599 here .. damn those taxes. Keep in mind that $499 does NOT include taxes in the U.S. But, i would buy a new iPhone only outside of Europe, like Hong Kong or Singapore, even cheaper there than in the states*. *Cheaper in HK, a bit more in Singapore. $794 in Canada, including the 12% tax. Not an easy-to-swallow pill by any means.